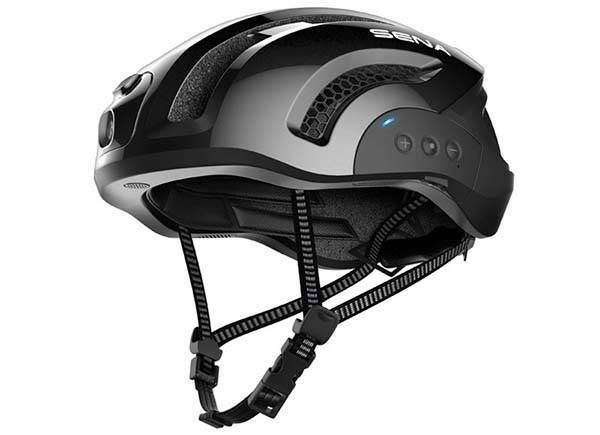 Using built-in HD camera, speakers and microphone, Sena X1 smart cycling helmet brings more high-tech features to your cycling, and Bluetooth technology allows it to communicates with your smartphone for more features. The X1 smart cycling helmet is available in two sizes: medium and large. As we can see from the images, the helmet features a streamlined and aerodynamic design to improve your cycling experience. The X1 has a polycarbonate shell that’s durable enough to withstand extreme impact, and its padded interior provides enhanced protection and comfort. Meanwhile, a smooth nylon and leather chin strap securely keeps the helmet on your head during cycling. The smart cycling helmet uses Bluetooth technology to wirelessly connect with your smartphone, and it comes equipped with stereo speakers and microphone, so you can enjoy wireless audio, or make and answer phone calls in comfort. Furthermore, it has a built-in FM radio and a fully integrated Bluetooth communication system. This means that it allows intercom with up to three other riders over a half mile distance. 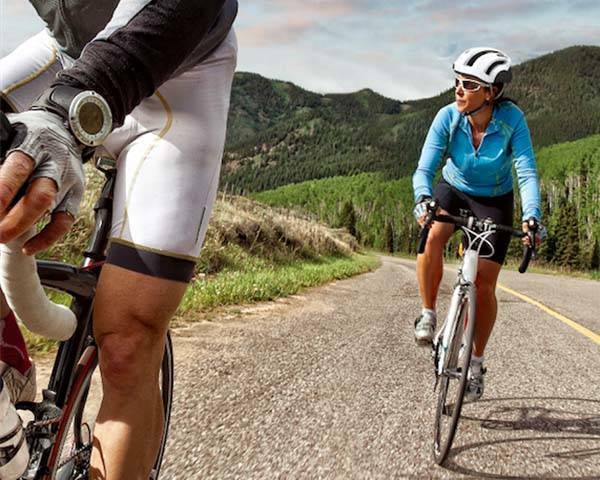 Moreover, the cycling helmet also features a built-in HD camera that helps you capture photos or videos on the road, and it supports up to 1440p video recording. Using built-in WiFi, you can easily transfer your photos and videos to your smartphone for easy to share. The X1 smart cycling helmet is priced at $199 USD. If you’re interested, jump to Amazon for its more details.